Those of you who regularly read my beauty reviews will know I’m a huge fan of Arbonne products. 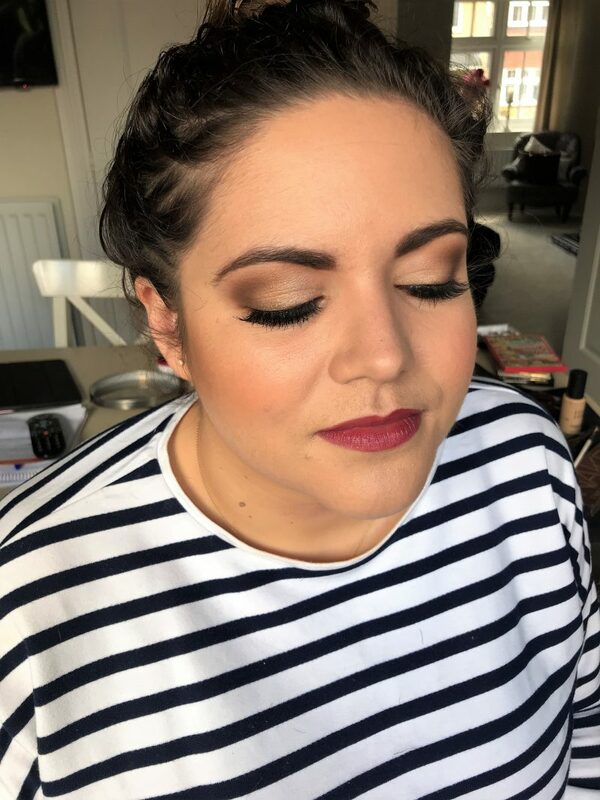 I’m a bridal makeup artist alongside running What Emma Did full time, so every now and again I love to come to the blog and share some ‘wow’ products I use on my bridal parties. But I guess it’s not just about what I use when I do professional makeup. 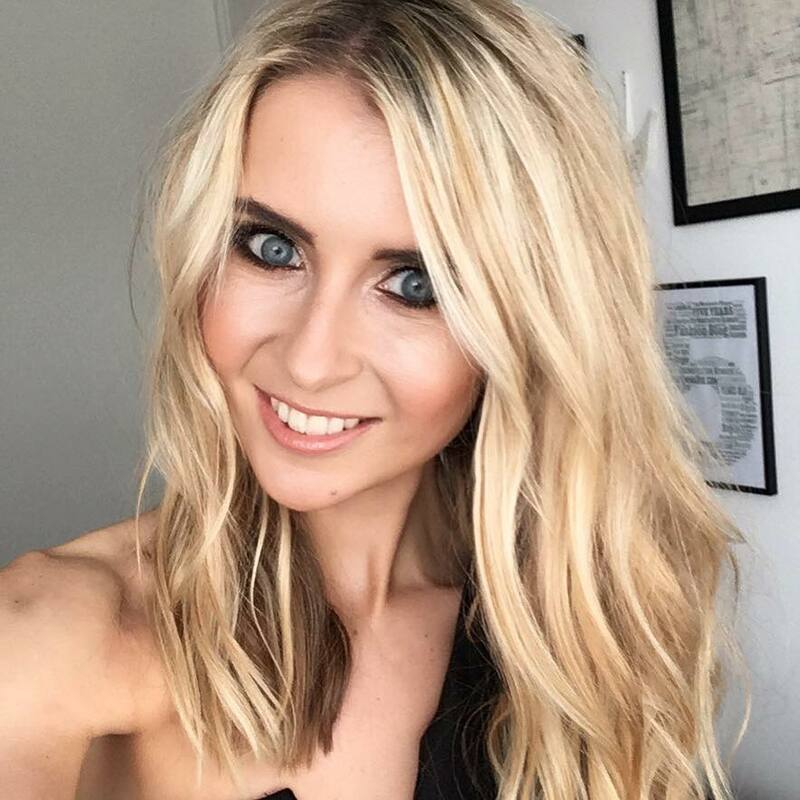 I’m a huge makeup wearer in general, where I often need a full face to get me through my busy work days! 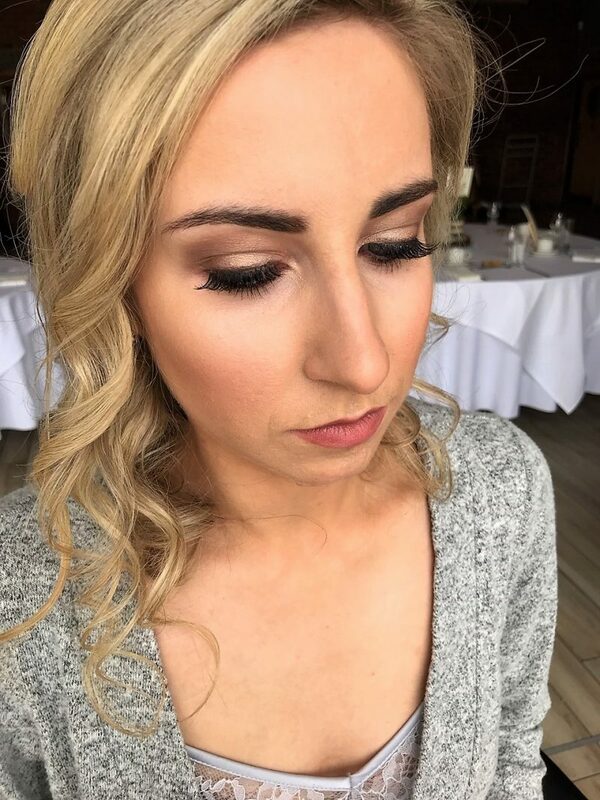 I try to only use makeup products in my pro MUA kit which I’ve tried and tested myself, and can hand on heart recommend. So, lets talk Arbonne. 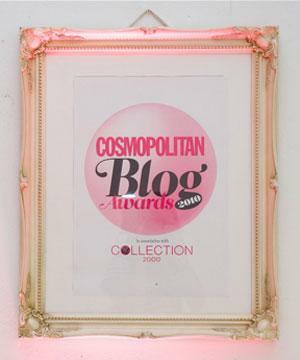 I’ve raved about them on the blog before, which you can see here and here. And now they have a new make up launch, their Its All In The Eyes Palettes, in Vol 1 and Vol 2. 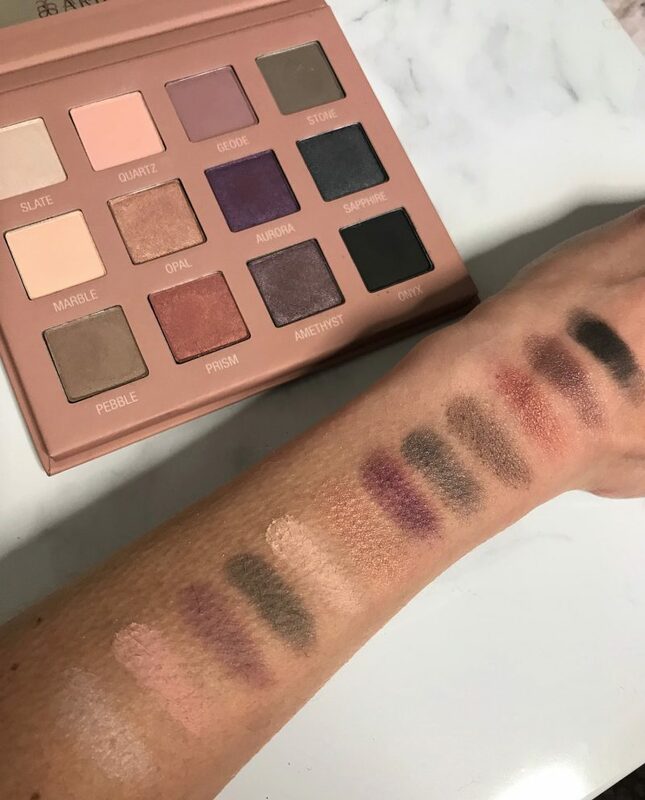 Each palette contains twelve shades — from soft to intense, with a combination of matte to shimmery finishes. 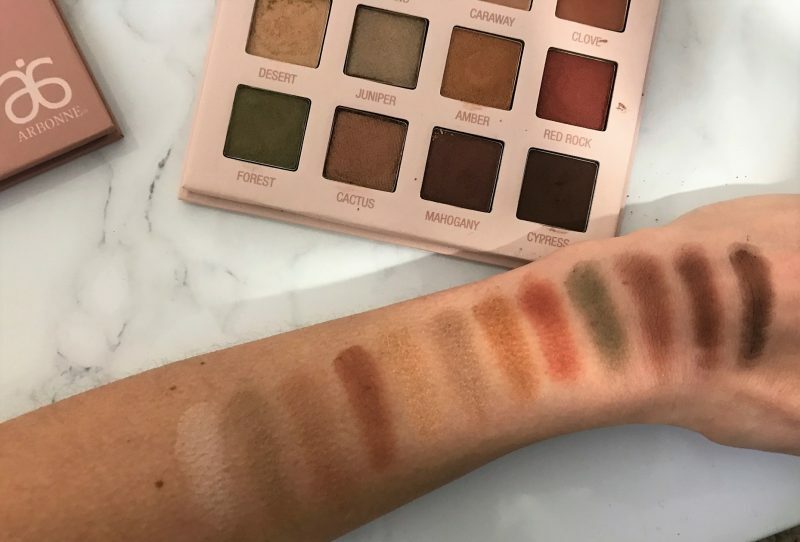 The purpose of each palette is to provide all over colour for lids, or to blend for a base, crease, highlighter and liner. 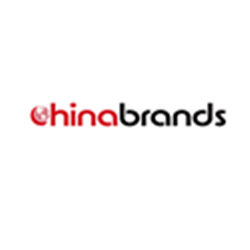 In other words, these palettes are pretty much all-rounders which can be used for day or evening looks. Volume 1 features colours inspired by earthy terrains, which is my personal favourite. I love an array of neutrals, especially when they have been modified to have a more unique feel. 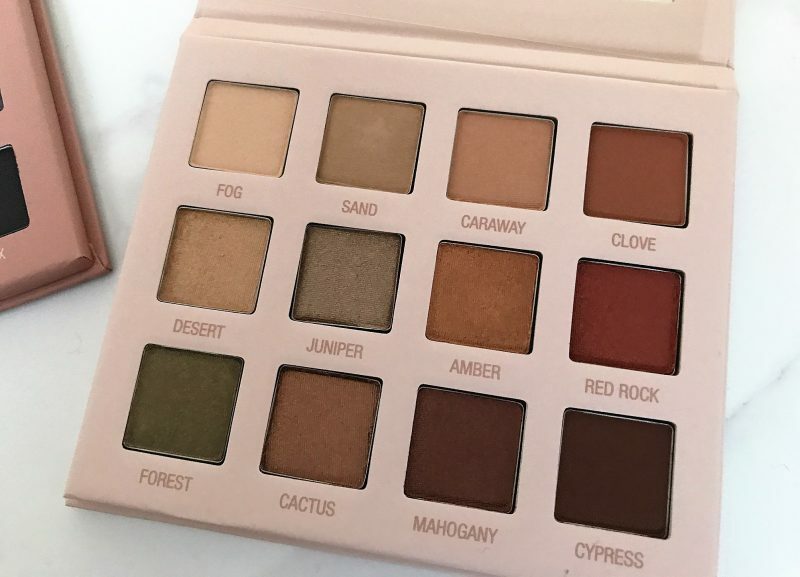 With these, the specially curated 12-shadows feature forest and desert inspired shades, with some extra special shades like a shimmering amber, a dazzling red rock, and a rich, matte clove shade. One of what I would call ‘the USP’s’ of this palette is that the shades all have that soft velvety feel when swept onto the eye lid. 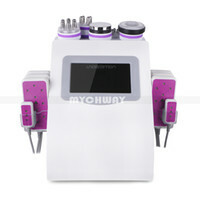 They are also packed with botanicals like cucumber extract and sunflower seed oil, to condition the eyelid for smoother application. 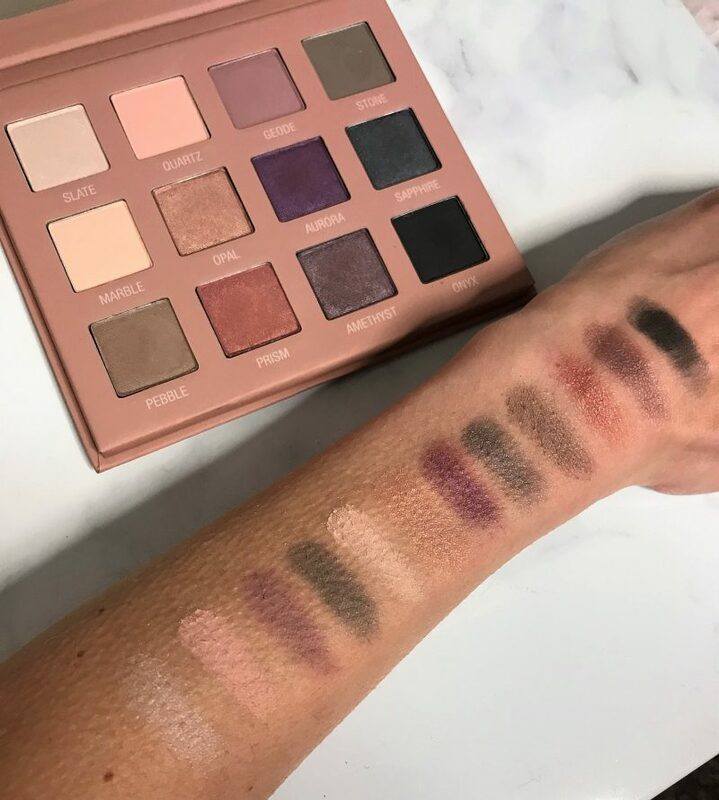 As you can see from the photos, the Volume 1 palette is the baby pink encased palette, which begins with a row of matte neutrals. These matte shades are warm tones of beige, sand and softer burnt oranges, mixed with shimmery shades of golds, sage greens, warm, rich browns, along with creamy sparkling creams, too. 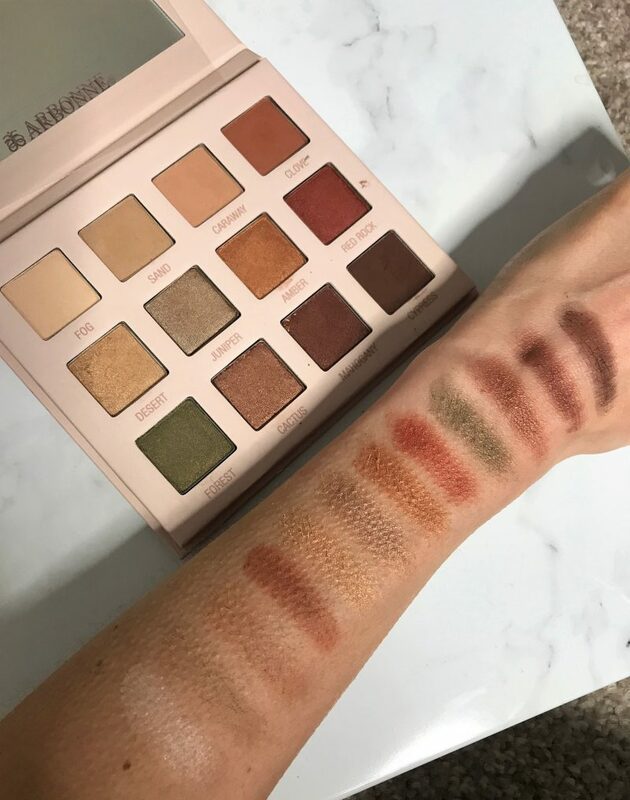 I feel that with the undertones of warmth in this palette, it’s a fabulous kit for those with green, blue and grey eyes. 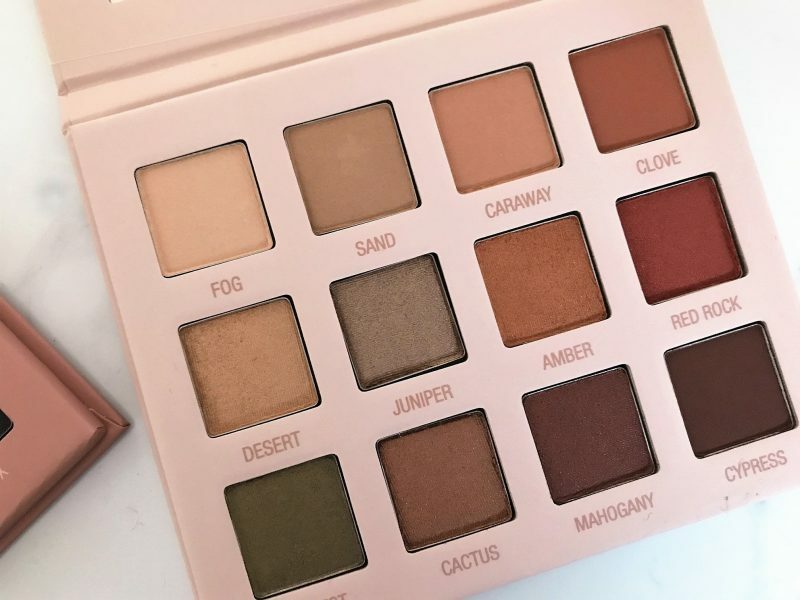 Although of course, it’s lovely for brown eyes too, but more so with the deeper shades, like Cypress, Cactus and Mahogany. 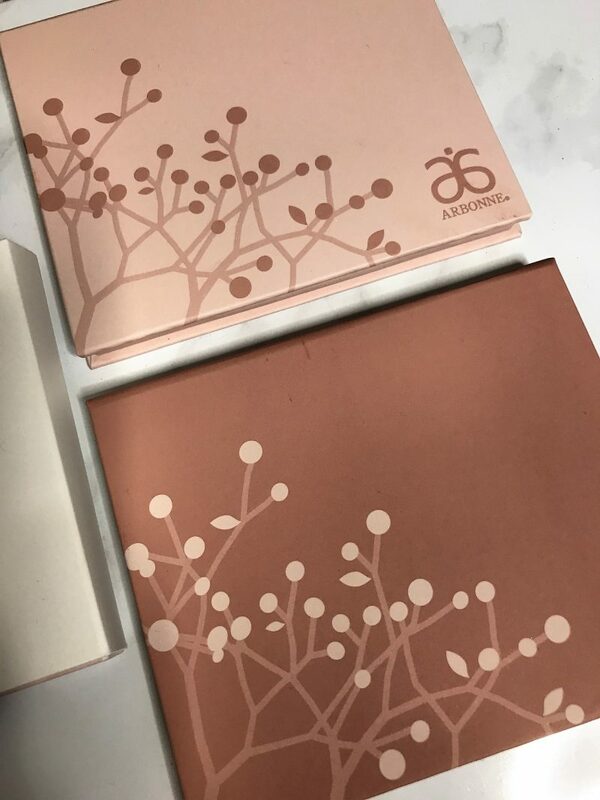 You can shop the Arbonne It’s All In The Eyes Palette Volume 1 here. Lets take a look at the Volume 2 palette next, which is also encased in a pretty opulent case, just a tad darker than the Volume 1. So both very girly packaging – just what I like! This palette is a little more ‘gem’ inspired, whereas volume 1 is more botanical and Earth inspired. It’s the perfect palette for creating those more striking smokey looks, or playing around with bolder shades, like deep shades of emerald and sapphire. 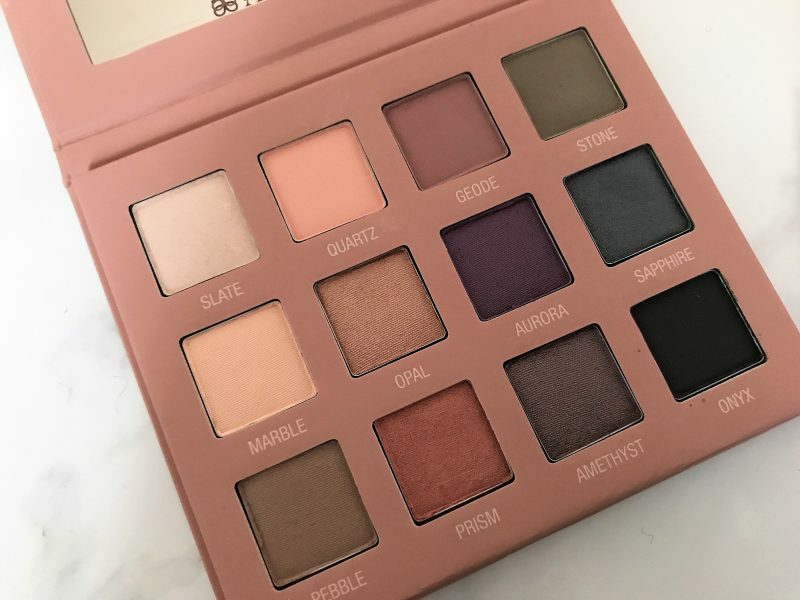 This – for me – is a superb palette to have in my makeup kit because these shades can be blended and combined to suit pretty much most complexions and eye shades. 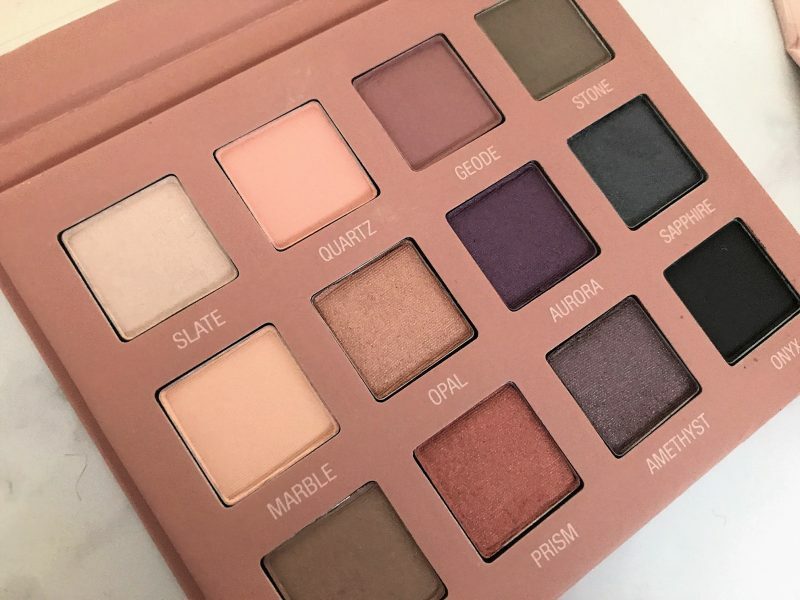 For example, the ‘Aurora’ ‘Amethyst’ and ‘Prism’ shades make those with brown eyes pop, yet the ‘Opal’ ‘Stone’ and ‘Pebble’ shades work really well on lighter blue eyes. Then, you have the jet black ‘Onyx’ and smokey ‘Sapphire’ for those who want a smokey look, and the sheer creaminess of ‘Slate’ and ‘Marble’ for blending out more natural looks. 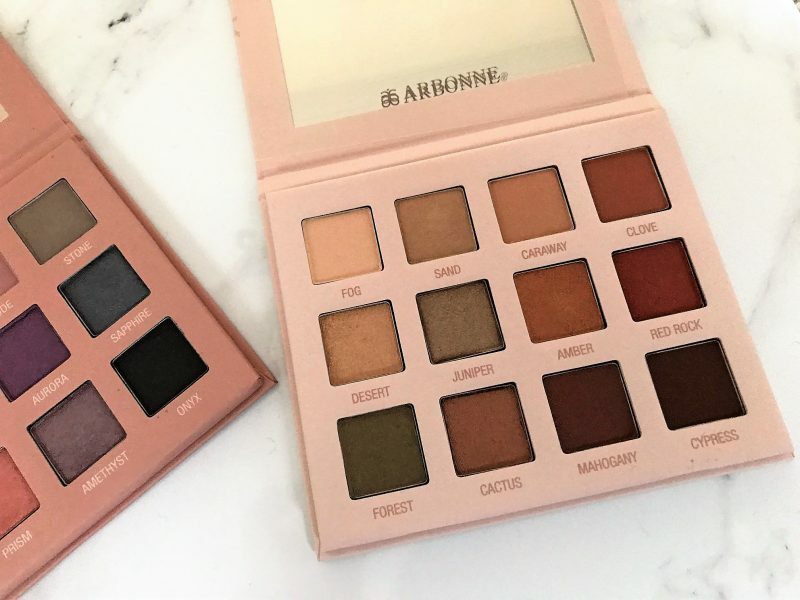 You can shop the Arbonne It’s All In Eyes Volume 2 palette here. 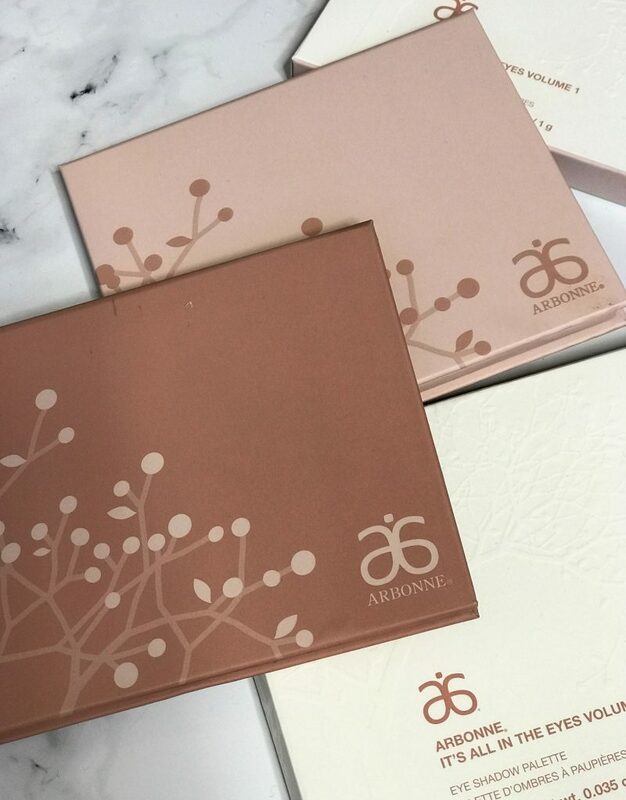 One of the reasons I return to Arbonne for makeup items tends to be because of the consistency with high quality. These eyeshadows all have intense pigments, long staying power and that luxurious feel, so you get what you pay for in my opinion. 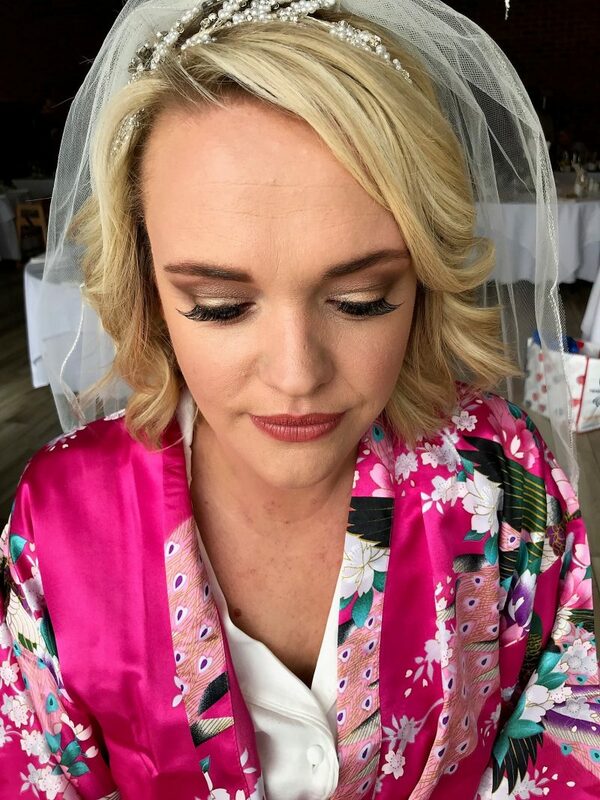 Below are some photos of brides and bridesmaids I have worked with recently, using the Arbonne It’s All In The Eyes Palettes Volume 1 & 2. The lady above has a light smokey brown eye look, created with Volume 1. There’s a mix of Fog, Juniper and Dessert blended together here…. The looks above were created using the matte shades of Caraway and Sand from Volume 1, blended with metallic, shimmery hints of Opal and Marble from Volume 2. And the lady below features more of the gold shimmery shades blended together from both Volume 1 and 2 palettes. I think that these palettes are just gorgeous for bridal parties. You have a range of shades which can blend together to go as dramatic or as natural/muted as you like. Fabulous launch!